Women may migrate to escape conflict, war, poverty, family pressures and responsibilities, or fear of sexual oppression. But they also find themselves caught in the twin controlling ideologies of patriarchy and religion. This was the case for the 120 women migrants interviewed for our book Migration and Domestic Work. All were domestic workers in private households in London, Berlin or Istanbul. Most were either Muslim (52) or Christian (44). A handful were Buddhist, Hindu or Pagan. Twenty atheists had come to disbelief from the two main religions. Data was collected through interviews, visits and observations in all three cities. These took place in the homes where the women were employed, in ethnic and community organisations, and in employment agencies. The research was designed for women to tell their stories and to establish their agency. An allied purpose was to explore collective solidarities among the migrant women. The interviewees included Kurdish women, who are an under-researched group. 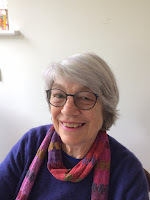 A creative research reciprocity was developed: the researcher, Gaye Yilmaz, taught Marxist economics in community organisations in London and Berlin. While there has been much previous research about migrating women, this study breaks new ground through its focus on the cultural codes of patriarchy and religion, and how these interrelate to shape and constrain women’s migration and their collective organising. The reasons for the women’s migration were complex and multiple. The dream of a better future was the most common. Escaping war and conflict also featured prominently. Family and family unification was the third most common. Shockingly, some of the women had to leave professional, university-qualified work in their home countries because they could not make a living, or because they were compelled to take on family responsibilities. Shocking too was the custom of male family members using remittances sent home by women migrant workers to buy a home or car. There was nothing for the woman who had supplied the money. Regardless of their dreams of a better life, they all finished up far from home as domestic workers. Most were downwardly mobile. We found that gender regimes dominated the women’s lives. In their new countries traditional gender roles in the home played out much as they had in the lives they had left behind. These were almost always related to religious codes: ‘In Islam all houseworks are the tasks of women,’ said a Muslim woman, and ‘The task of women at home is to obey husbands, to do all housework inside the home…’ said a Catholic woman. The relations between religion and patriarchy are complex, and although their ties had in some cases been loosened by migrating, almost all of the women still accepted the position of men as breadwinners, even though some asserted that their particular religion did not require this. These codes spilled over to the divorced, the unmarried and the atheists, illustrating the weight of traditional gender roles both within and outside marriage. Key was the level of religious belief. Those claiming high religiosity were more likely to keep to patriarchal traditions whatever country they migrated to. Those with low or no religiosity were more willing to challenge and subvert these masculinised norms. Prominent among the challengers were Kurdish women, a third of all those interviewed. Kurdish women were also more likely to be active in their communities, and some had experience of trade unionism. They had been empowered through political struggle to work for gender equality and displayed feminist views. They were also half of all the atheists. More than a quarter of the women were divorced, but those with children found themselves following the traditional role of sole carer. Regardless, most of the women kept to gendered roles, although for some it was a way of keeping the peace domestically and avoiding domestic abuse. In these domestic relationships, just half of the women prioritised their men’s promotion, job prospects and happiness over their own. Those who prioritised their own were more likely to be divorced, and more independent. Women’s unpaid domestic work is carried from the home into paid domestic cleaning and caring work. More than 80% of all domestic or care workers are women. Domestic work - low paid, long hours, dangerous – is women’s work. These women are vulnerable to abuse and exploitation, and difficult to organise into unions. The women often found their work situations harsh. They were pressured and pulled in different directions by agencies, employers and clients. The work itself was experienced as unrewarding and, in some cases, hateful: a Kurdish woman in Berlin reported, ‘Working with old bodies makes me feel old too.’ In Berlin almost all the women worked in elder care. They were able to get training and their work was better regulated. In London and Istanbul, the work was more mixed. Women were mainly cleaners but also cared for children and elders. They enjoyed child care, and loved the children, but often hated other work: ‘This makes me stressed and exhausted,’ and ‘…I hate cleaning.’ The work took its toll on the women, especially those over 40, several of whom had serious health problems. Being a migrant forged their sense of identity as well as being a dominant cause of discrimination and defining their class position. ‘Migrant care and cleaning workers are treated as if they were from bottom classes.’ These intersected with other identifiers such as race and national origin. In the public realm, if they were visibly different - being women of colour or wearing particular clothing such as a hijab - they were seen as other. Language was also hugely significant. Their level of fluency in the host language shaped their existence as migrants. For those with poor skills in their host country’s language, getting medical care was difficult. Improving language skills increased self-esteem and self-image as a migrant, helped them move towards integration and belonging, and was especially advantageous for their children. There is much evidence of the difficulties traditional trade unions have in organising migrant workers. More fruitful approaches have centred on community organising, sometimes allied with labour unions. This was the case in this research. In Berlin, the women met at their employment agency, where they discussed and compared their pay and their work, and helped one another with translating documents - a form of informal solidarity. In all three cities, however, they were often reliant on ethnic community groups and networks for finding work and for mutual support. Based in diasporas and on race, ethnicity, politics and religion, these were important sites of belonging and identity. But some of the women were critical about the lack information about rights and about opportunities for joining a trade union. In addition, community patriarchal and religious norms often required consent from male kin to join unions: ‘Since unionisation also depends on the permission of the husband in Islam, this has a very negative impact on working women.’ Few of the women had experience of trade union organising, either at home (11%) or in their new countries (10%). Union officials emphasised the problem of access because of the privatised nature of the women’s work. The women tended to confirm this, saying they knew little or nothing about unions. In London, a handful that had union experience did not see them as being on their side. Others feared unions would endanger the complicated affective relationships they had as care workers. Practical barriers also became apparent. In Berlin, they needed an address and a bank account to join a union - especially difficult for new migrants. In Turkey, unions did not admit migrants. Traditional unions were not unaware of the problems faced by migrant workers, but as the president of the Turkish union federation DISK pointed out, individualised domestic work with high labour turnover would have any highly structured labour movement struggling. Nevertheless, there were women who, once introduced to the idea, were keen to join and become active. More than half of those in Berlin asked the researcher what union they should join. In London, we launched the book at Unite the Union, which has organised migrant workers for many years. We conclude that the factors militating against women migrant domestic workers from developing a collectivist solidarity and joining unions are similar to traditional barriers for women: greedy lives, where patriarchal and religious codes impose domestic and family responsibilities on women, and long working hours leaving little time for anything else. Yet there were potential activists - a possible vanguard to bridge the gaps between isolated individuals, informal self-organisation, and community and trade union organising. Migrant domestic workers in other cities have done so, and we hope that through this research, these women are now better informed and will move in this direction. This refers to the organisation and cultural codes of social practice where relationships are articulated and negotiated, such as the patriarchal religious subordination of women to male kin in the home and the family. Gaye Yilmaz and Sue Ledwith met through the Global Labour University alumni research group: Gender and Trade Unions where Gaye was a graduate of LPG 1, Germany, and Sue the group’s academic coordinator. Both went on to take part in a project that saw the publishing of a collection of studies by group members: 2014: Akua O. Britwum and Sue Ledwith (eds.). Visibility and Voice for Union Women: Country case studies from Global Labour University researchers. Sue was a joint editor and Gaye a contributor. Currently Gaye works as a part-time scholar at Bogazici UNI, Istanbul, and Sue formerly worked at Ruskin College, Oxford. Yilmaz, G. and Ledwith, S. (2017) Migration and domestic work: the collective organisation of women and their voices from the city, Palgrave Macmillan, London.